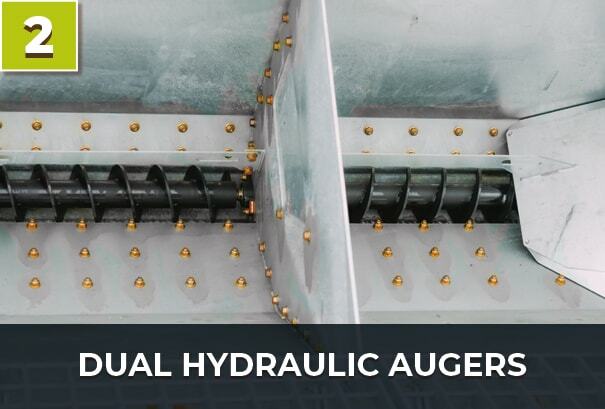 Independent left and right auger controls allow operator to determine density of application in either direction. Independent left and right spinner controls allow for 0 to 50 ft spread on either side (up to 100 ft spread width total) underneath parked cars. Low to the ground ejection ports designed and tested to reach under parked cars with precision. 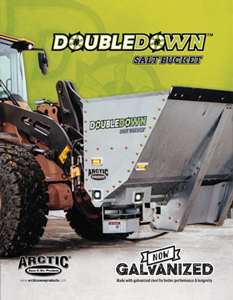 No need for another piece of equipment to load the DoubleDown Salt Bucket™. 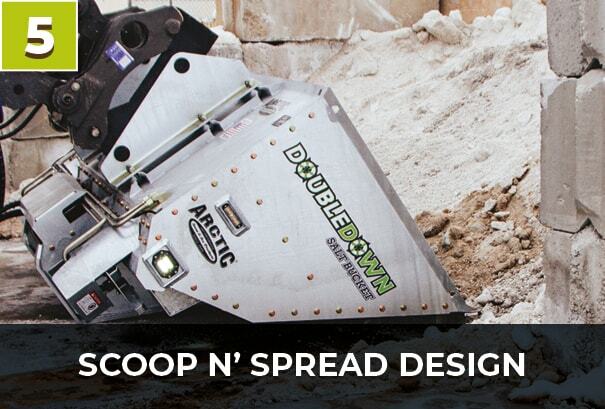 Just tilt, scoop and spread — the best spreader for parking lots ever! 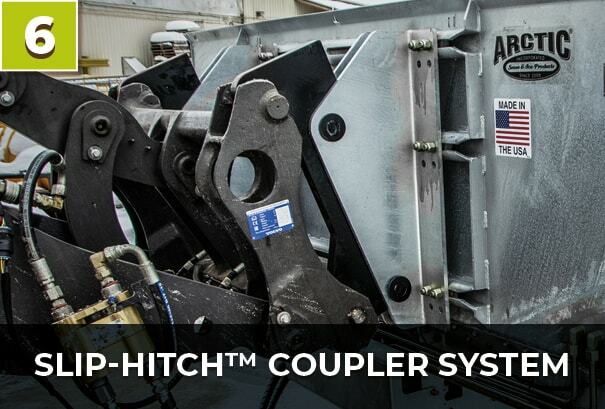 Uses same patented Slip-Hitch™ universal coupler system found on all Arctic attachments. Rated Best in the Industry. Allows operator to stay in the cab while easily switching back and forth between plowing and salting attachments. 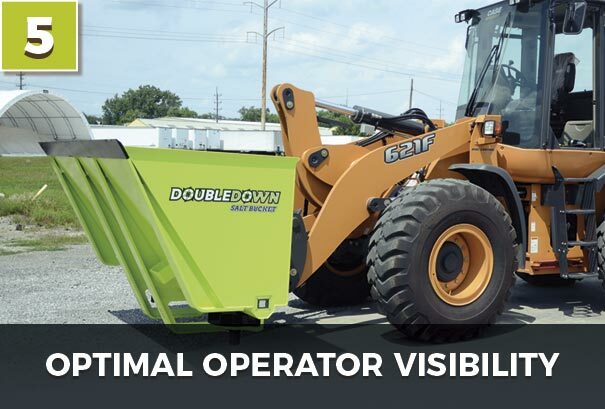 Bucket heights designed for optimal operator visibility of spreader performance. 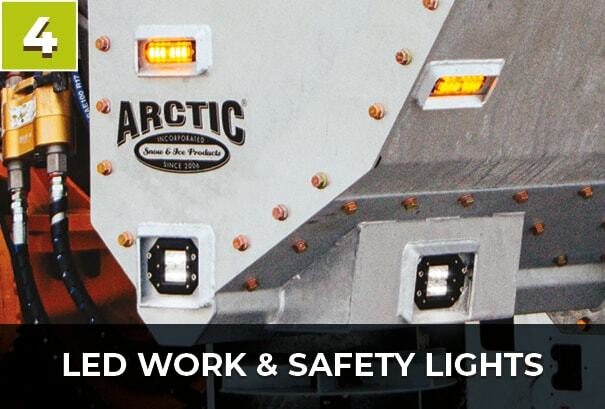 LED work lights well placed for viewing spreading pattern in front and at side during night applications. 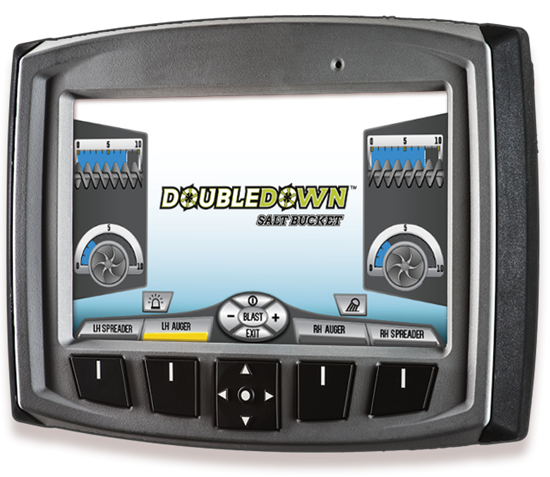 User-friendly LCD display panel, mounted inside the cab, offers total and independent control of dual augers and spinners, allowing operators to customize their salt applications. Set your spread numbers from 0 to 10 to control your density and distance on either side independently. 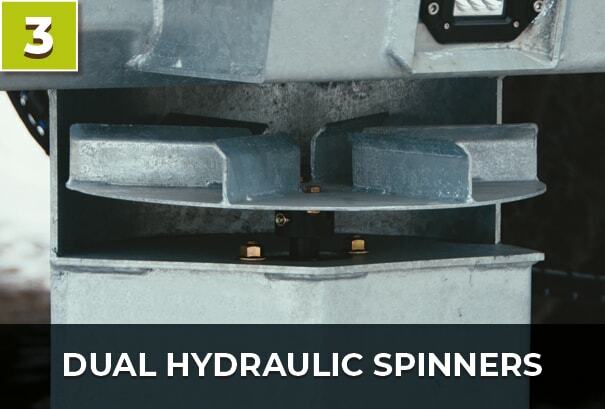 Take complete control of your spreading parameters for distance, density and direction. Save salt by optimizing pattern and density, and eliminating wasteful overlapping and dispersal. No need to wait until cars have left the lot for optimal salting. Low to the ground ejection ports reach under parked cars, making effective daytime salting possible. Salting under parked cars means fewer insurance claims. Now you can salt entire parking lots evenly during shopping hours when lots are full. Unobstructed operator visibility assures safe and effective results. Low light operations a breeze. Late afternoon and evening shoppers will experience fewer slip and falls than before. Operators will love it! The Slip-Hitch™ universal coupler system will allow seamless transitioning between plowing and salting attachments. 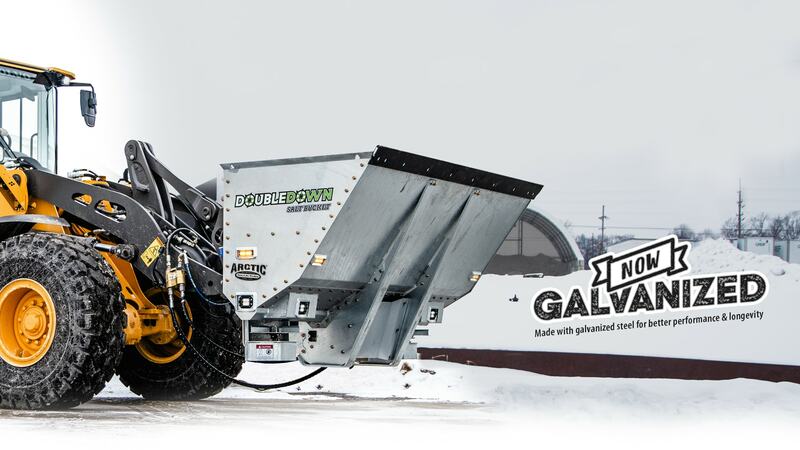 Great for retention of equipment operators during low snow winters as they will be able to perform in a salting role using their same equipment. Clients will love it too! Expect improved client relations as requests for repeat applications of salt are not dependent upon the return of a salt truck from its complete route. Available in four sizes to guarantee a perfect fit for your skid steer, track vehicle or wheel loader!